Update your drawer with the Whittaker 2 pack boxer trunks from Ben Sherman. Included in the set is a Beetroot/Navy/Camel/Blue Stripey pair of boxer trunks with Navy/Red waistband and a Grey pair of boxer trunks with Grey/Navy waistband. 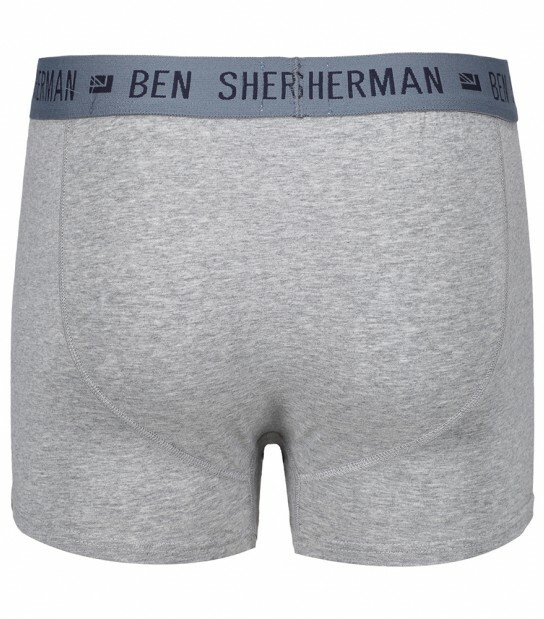 Each boxer trunk has the Ben Sherman branding on the waistband and has been crafted from soft cotton fabric providing you with all day comfort.